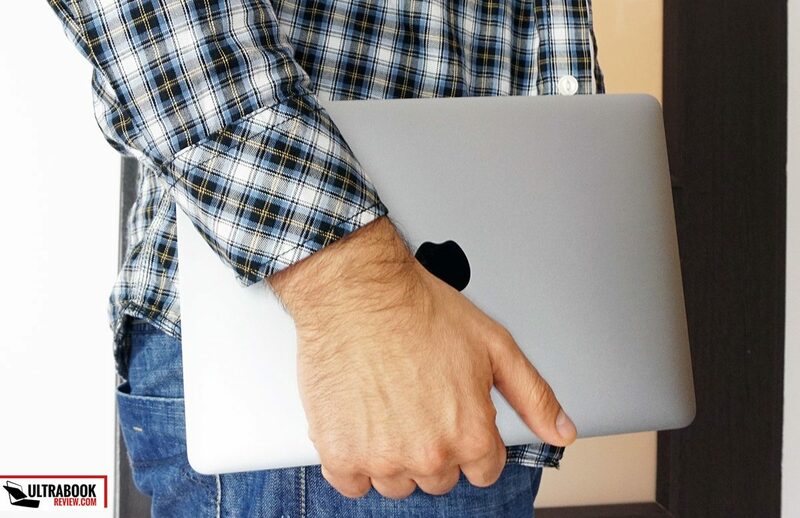 My first contact with Apple’s 12-inch Macbook was brief and unconvincing. It took place in one of Apple’s stores only a few days after its launch, and the few minutes I spent with the showcased sample lead to a quick first-impression: cute, but there’s no way I’d pay $1300+ for it. That hasn’t necessarily changed in the meantime, after getting to spend more personal-time with the MacBook and reading many of the reviews available online. There are still several reasons why this machine is not for me and it might not be for you either, and we’ll talk about them in this post. But at the same time many of you will probably gladly buy and use this Macbook everyday, as there’s no doubt it is a marvelous piece of tech. 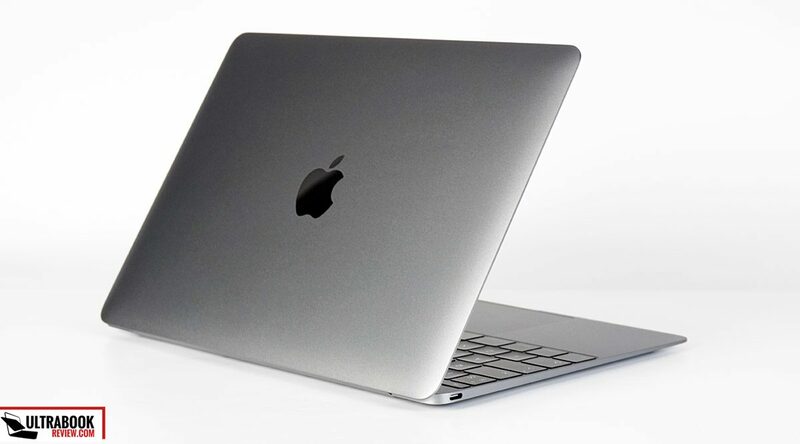 Apple’s MBA and MBP lines offer solid performance and long battery life in premium shells. The 12-inch MacBook on the other hand focuses more on design and aesthetics while cutting some corners when it comes to battery life and especially speed. Though weighs in at a scant 2.03 lbs, its most impressive trait is its very slim profile in my opinion. 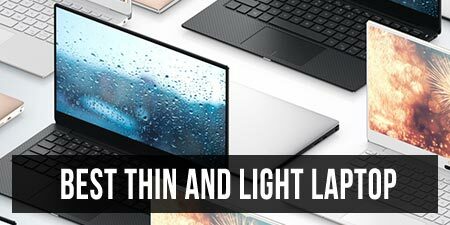 There’s a picture down below showing how it compares to the Dell XPS 13, one of the sleekest ultra-portables of the moment in its own right. An Intel Core M platform powers this machine, paired with 8 GB of RAM and various amounts of fast SSD storage. The Core M hardware is primarily designed to be efficient, not necessarily fast. That’s why the MacBook is a better option for those of you who don’t ask much from their laptops and mostly use them for browsing in a couple of tabs, watching movies, replying to emails, listening to music, and some light editing/writing. 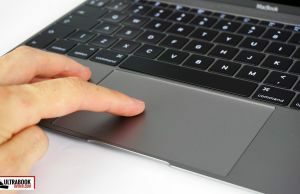 If you’re fine with these and the occasional stutter or delay while multitasking or opening a new app, then the new MacBook could be for you. If you expect a flawless experience though, you should look somewhere else. The speed-loss is mostly compensated by the decent battery life, which is always beneficial on an ultra-portable. 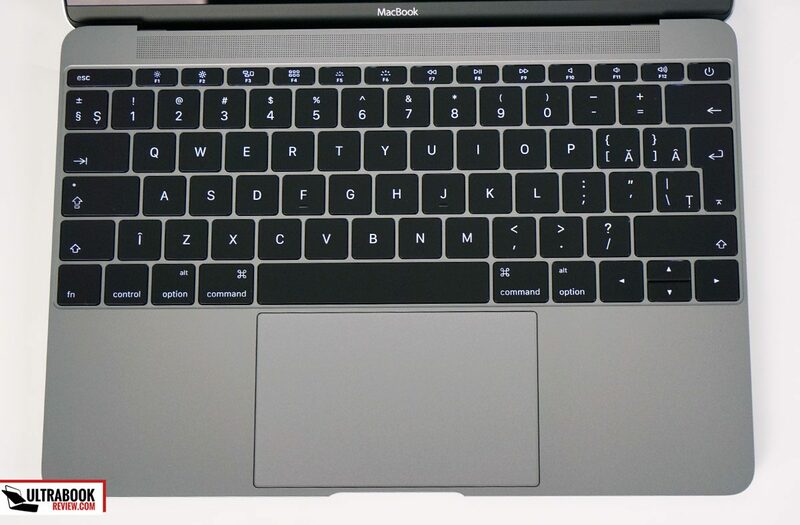 The Macbook will last for about 6 to 9 hours of daily use on a charge. In other words most of you will only have to charge it once every few days. 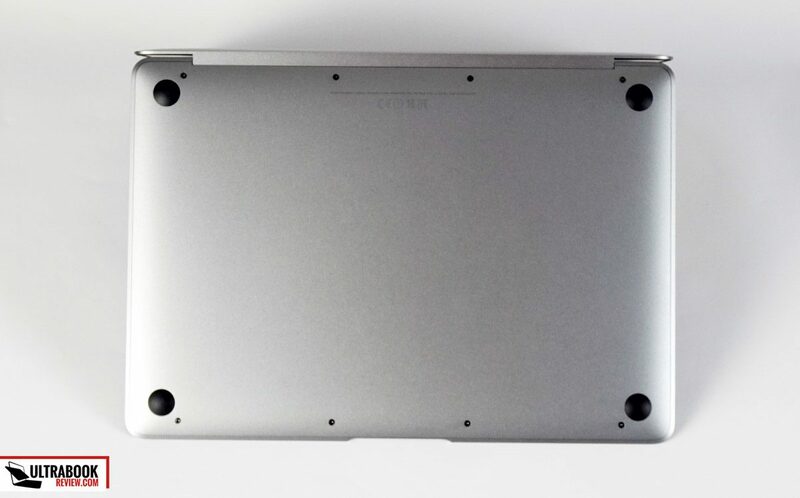 The Core M platform is also fanless, which means the MacBook is going to be completely silent no matter what you do on it. 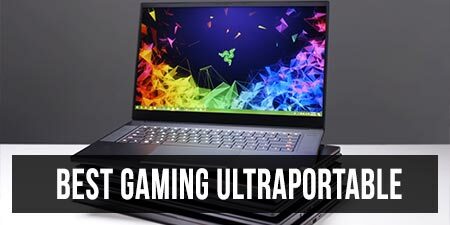 More demanding tasks will cause the thin case to heat-up though, so while the laptop remains comfortably lapable most of the time, running high-def videos or even light games will push body temperatures to over 40 degrees Celsius. 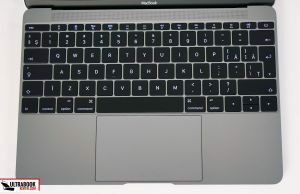 The very slim silhouette necessitates a new keyboard and trackpad (which Apple is calling the “Force Touch”), different to those we’ve seen on other MacBooks, as well as very limited IO. In fact, other than a single headphone/mic jack, there’s just a single USB Type C port on this computer. A single port that’s used both for charging and to connect peripherals. You’ll require adapters for that and none are not included in the pack (they are also quite expensive). 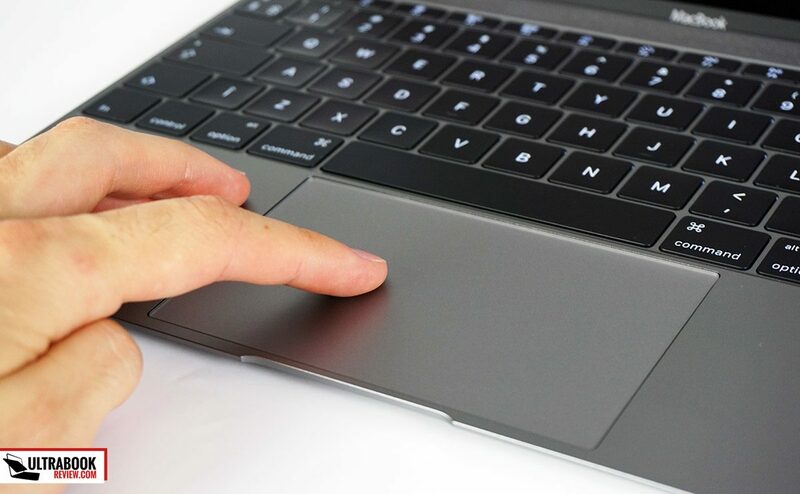 The new Force Touch trackpad can’t be physically depressed, but an array of haptic sensors create a tactile feeling that mimics clicks. Force Touch has made its way on a few other Apple devices and it works surprisingly well. 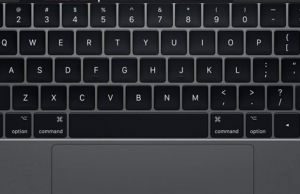 The new, hyped “butterfly mechanism” keyboard necessitated by the thin form factor is weird though, because the keys have a very limited stroke. They are large, firm, well spaced, quiet and backlit, but despite that the typing experience is unlike anything I’ve ever tried. I just kept missing hits here and there and that didn’t improve after a few hours, so having typed a few hundred words on it, I don’t think it’s something I could get used to. 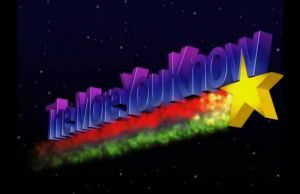 Other reviewers claimed that while the keyboard definitely has a long learning curve, they eventually got used to it. Even so, if you’re typing for a living, there are much better options for you out there. I’ll also add a few words about the screen, which is spectacular for such a thin device. Apple already have great displays on the MacBook Pros, but the more portable Airs never got a higher-density IPS panel like this 12 inch Macbook did. There’s a catch though: the screen is glossy and it lacks touch. 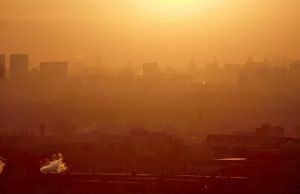 That means you’ll have to deal with glare and reflections when you’ll take the laptop outside or in a bright environment, without the potential benefits of touch. And since it is such a highly portable machine, that’s probably going to happen quite often. Apple use a similar approach on the Macbook Pros, but since those are heavier and bulkier they will probably spend more time indoors on a desk than this one. 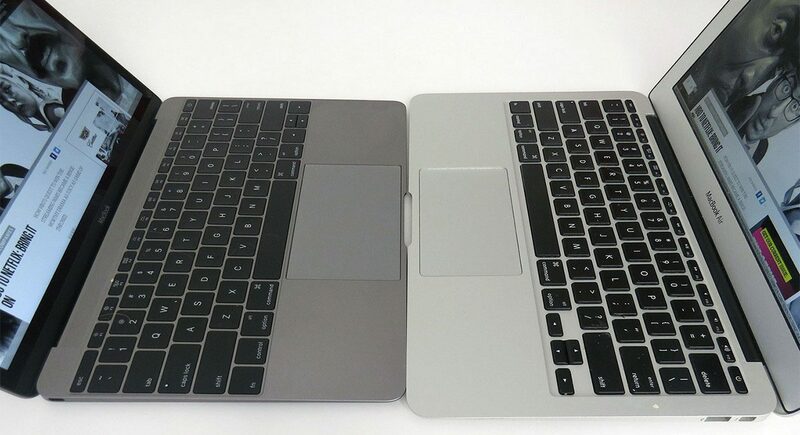 Personally, I would have preferred a matte panel on the Macbook, even if that would have taken a toll on colors or contrast. Is it worth $1299 and up? 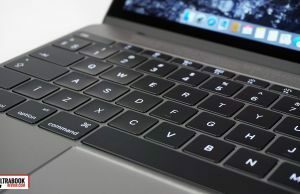 The cheapest Macbook sells for $1299, which could seem rather steep, even for an Apple laptop. 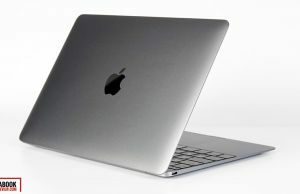 The Macbook Air 13 for instance starts at $999 and many of the high-end Windows laptops start at under $1000 as well. 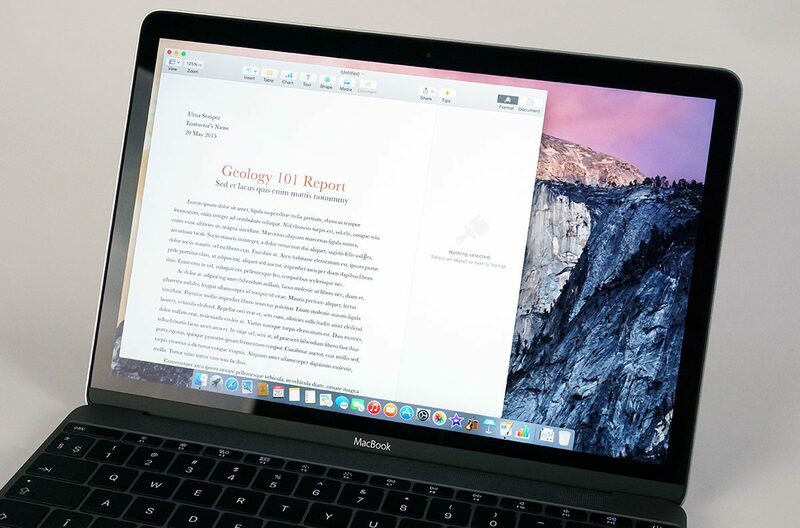 Once you have a look at the configuration, you’ll notice that the base model comes with 8 GB of RAM and a 256 PCIe SSD, which puts the 12-inch Macbook on par with the MBA. It’s still expensive, but if you want the sleek and light form-factor, you might be willing to pay that much. Ultimately, I don’t think the price is a major deal-breaker here. You’ll need to make due with the other shortcomings before the high price tag comes into play. 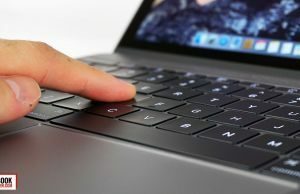 The Macbook is compact, slim, fanless, and packs premium features like a high-res screen, a backlit keyboard and a large battery. All of these are nearly impossible to find on a Windows ultraportable right now, mainly because OEMs have been neglecting the premium ultra-compact segment lately. 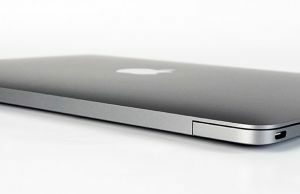 But there are alternatives that come close in some areas or outmatch the Apple laptop in others. Most of them are built of the same fanless Core M platform, but a few are more powerful. The Asus Zenbook UX305 sells for $699 and includes a Core M processor, 8 GB of RAM, a 256 GB SSD and a 13.3 inch display, tucked inside an aluminum body. It weighs 2.8 lbs and is marginally thicker than the MacBook. But the UX305 does offer a more standard keyboard, real-size ports and a matte IPS screen, while selling for a lot less than the MacBook. 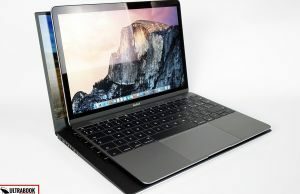 In fact, there’s even a version with a 3200 x 1800 px matte display and 512 GB SSD for $999. 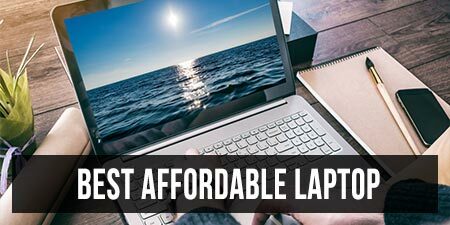 So if you really want a fanless computer for basic daily activities, you’d get far more for your money from these Zenbooks. BTW, I did review the UX305 here one the site and you should check out my detailed article for more details. 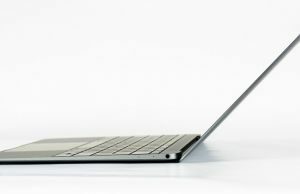 The Samsung ATIV Book 9 is the closest you can get to the Macbook in Window’s camp: a clamshell computer with a 12.2-inch high-res anti-glare non-touch display, Core M hardware and a 35 Wh battery (which should translate in up to 12 h of use according to Samsung, but will last about 7-8 in real-life use). 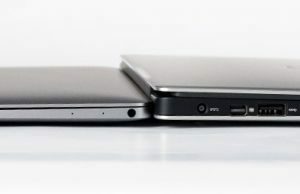 It weighs 2.1 lbs and is 0.46″ thick and despite these, Samsung still managed to squeeze 2 x USB 3.0 slots on this thing, as well as a microSD card-reader and a micro-HDMI port. 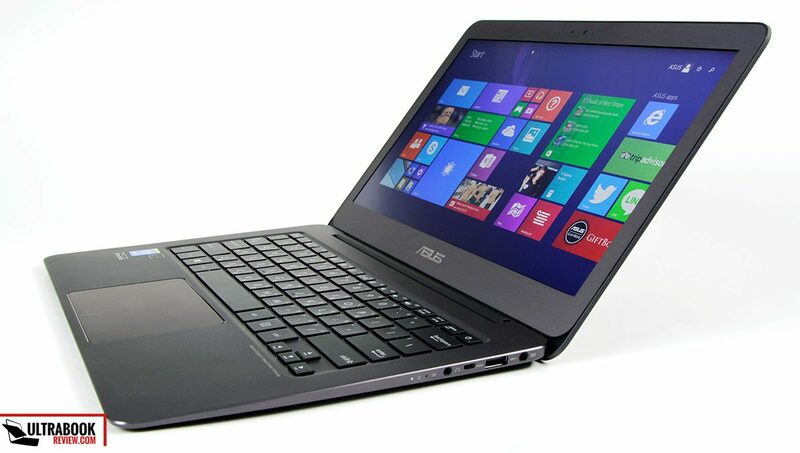 It lacks a backlit keyboard though, just like the Zenbook mentioned above. So in the end the superior IO and the non-reflective screen might not be enough to justify paying $1199 for the base version of the ATIV Book 9, which includes only 4 GB of RAM and a 128 GB SSD. 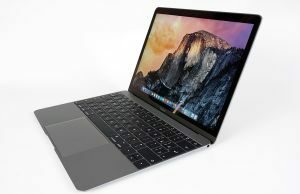 Spec it up to 8 GB of memory and a 256 GB SSD and you’ll have to pay $1399, which is actually more expensive than the MacBook. The Asus Transformer Book Chi T300 is a 2-in-1, a 12.5 inch Windows tablet with a detachable keyboard dock. It’s built on a Core M hardware platform as well, with 8 GB of RAM, a 128 GB SSD, and sells for $699. And even though it’s a tablet and all the hardware is tucked behind the screen, it still offers more generous IO than the Macbook and a better keyboard. It does fall short on battery life though, among other categories, as you’ll find from this detailed review. One last Core M laptop to consider is the HP EliteBook Folio 1020. It starts at $1249, so it sits in the same price range as the MacBook and the ATIV Book 9. For that kind of money you get either a non-glare FHD display or a high-res touchscreen, a 36 WH battery, a good keyboard and solid IO (2 x USB 3.0, full-size HDMI, microSD card-reader). All these are tucked inside a metallic body that weighs about 2.7 pounds. The Dell XPS 13 2015 weighs only 2.6 lbs and is in fact a 13.3 inch laptop inside a small frame, as you can judge by the narrow bezels around the display. This machine offers a choice of a matte or glossy-touch displays, with good IO, a 52 Wh battery and is built on the Intel Core U Broadwell platform. That means it is fan cooled, but it is also far more powerful than a Core M machine. 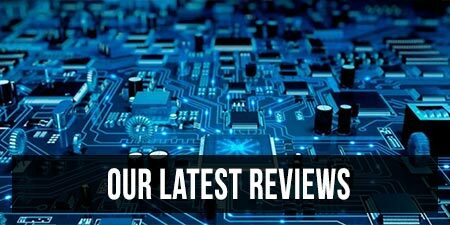 Check out my detailed review for extra details. 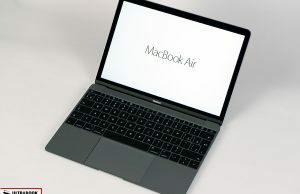 The base versions start at around $800 while the mid-range configuration with a Core i5 processor, 8 GB of RAM and 256 GB SSD is available for around $1100. Stepping up to a Core i7 processor and touchscreen will push the price north of $1500. Bang for buck though, the XPS 13 is a better laptop than the MacBook and should be a prime option if you need speed and long battery life in a compact ultrabook. 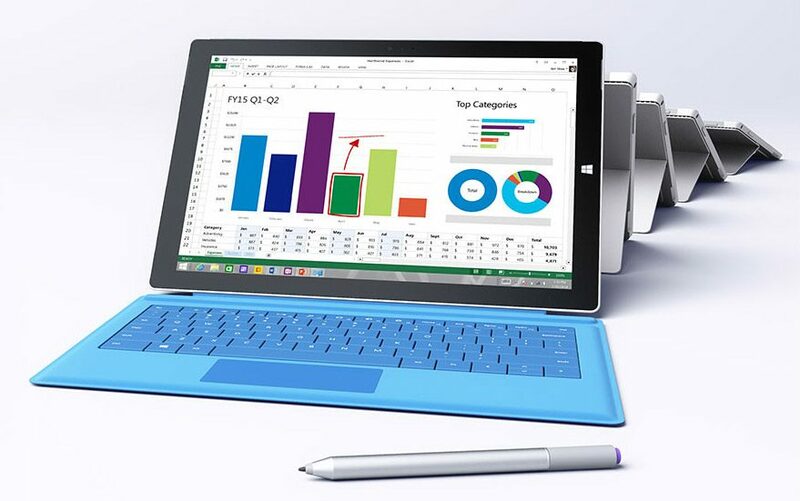 Microsoft’s Surface Pro 3 is a versatile option for road warriors, a Windows tablet powered by Intel Core Haswell U hardware, with up to 8 GB of RAM and SSD storage. It includes a high-resolution touchscreen with pen support, a 42 Wh battery and decent IO (one USB 3.0 slot, miniDP, and microSD card0-reader). It does not include a keyboard, but a keyboard folio can be bought separately for around $100. 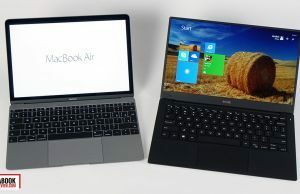 A Core i5 / 8 GB of RAM / 256 GB SSD configuration with the keyboard folio sell for around $1250 at the time of writing, so the Surface Pro 3 is actually a thinner, lighter and faster alternative for the Macbook. It’s not fanless and is not very practical as a laptop though, as you’ll struggle to use it anywhere other than on a flat surface. Last but not least we have Lenovo’s Lavie Z series, which consists of two devices. One is a clamshell with a matte non-touch display and weighs 1.9 lbs, the other is a convertible with a touchscreen and weighs around 2.1 lbs. 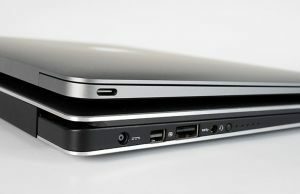 Both are powered by Intel Core U Broadwell platforms and offer a full-set of ports (2 x USB 3.0, full-size HDMI and a card-reader). 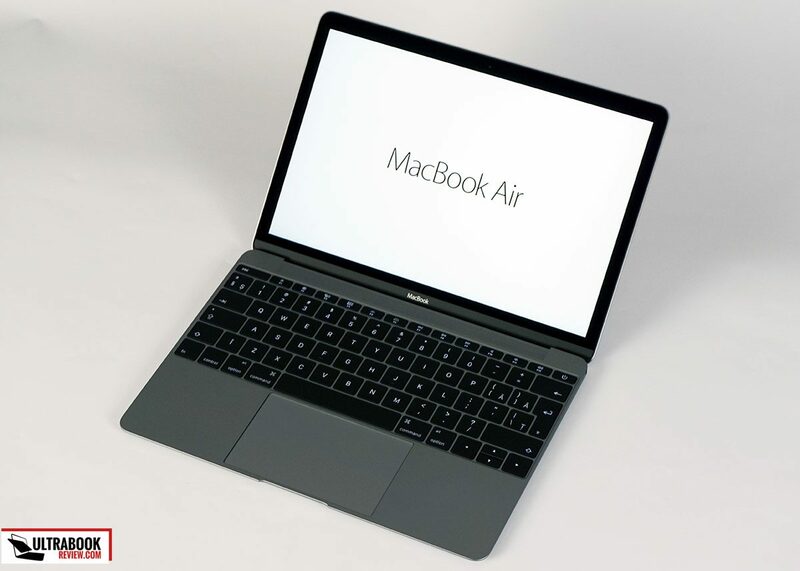 They are not widely available right now, but once they will pop-up in stores the mid configs should match the MacBook in price while the higher end models will sell for $200-$400 more. If you’re after an Apple laptop, you’ll want to know how the 12-inch model compares to the Macbook Air 11, Macbook Air 13 and the MacBook Pro 13 with Retina Display. 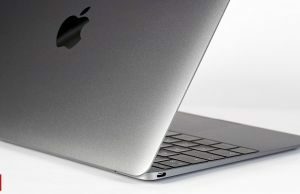 The 11-inch Macbook Air is marginally heavier and thicker than the MacBook 12 and offers a worse display with a TN panel. On the other hand, it packs Broadwell U hardware (faster, but not fanless) and a more standard keyboard/clickpad, plus more ports (2 x USB 3.0 and Thunderbolt). 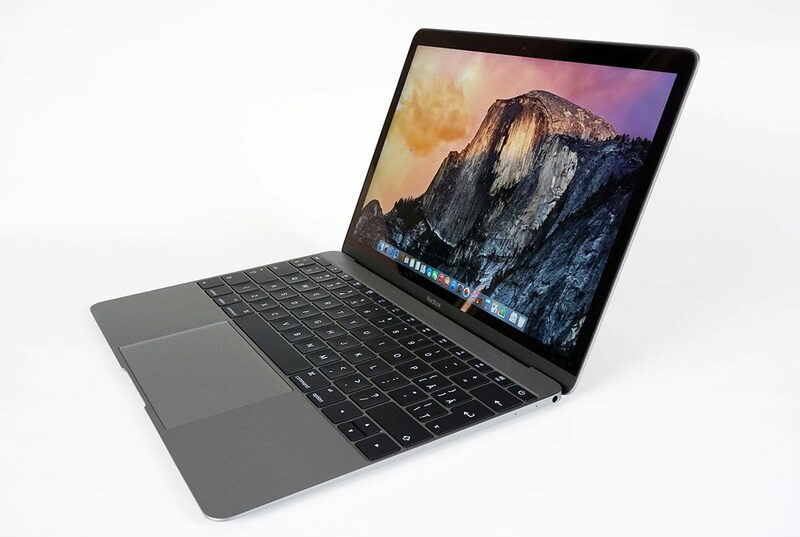 Both devices will last for up to 9 hours of daily use on a charge, with a slight advantage for the MacBook. The cheapest MacBook Air 11 has an MSRP of $899, but a configuration with a Core i5 processor, 8 GB of RAM and 256 GB SSD sells for $1199, which is only $100 less than the Macbook. Thus, if you’re on a short budget and want a portable Apple laptop, the 11-inch MBA remains your better option. 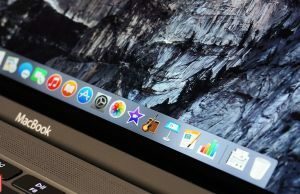 On the other hand, if you’re willing to invest more in extra RAM and storage space, you should consider the Macbook instead for its thinner profile and superior display. 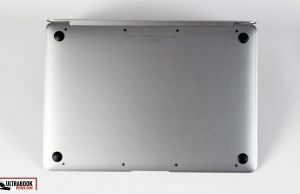 The 13-inch MacBook Air is a larger version of the MBA 11, with a 13.3 inch display (but still a rather poor TN panel), a huge battery and an SD-card reader on top of all the ports offered by the smaller version. It’s rather beefy and heavy when compared to the sleeker Macbook, but if you can look past the screen, it’s going to be a better ultraportable laptop for most people. It’s faster, more practical, and lasts longer on a charge (12+ hours). The base version starts at $999 and the Core i5 / 8 GB RAM / 256 GB SSD configuration sells for $1299, on par with the Macbook. 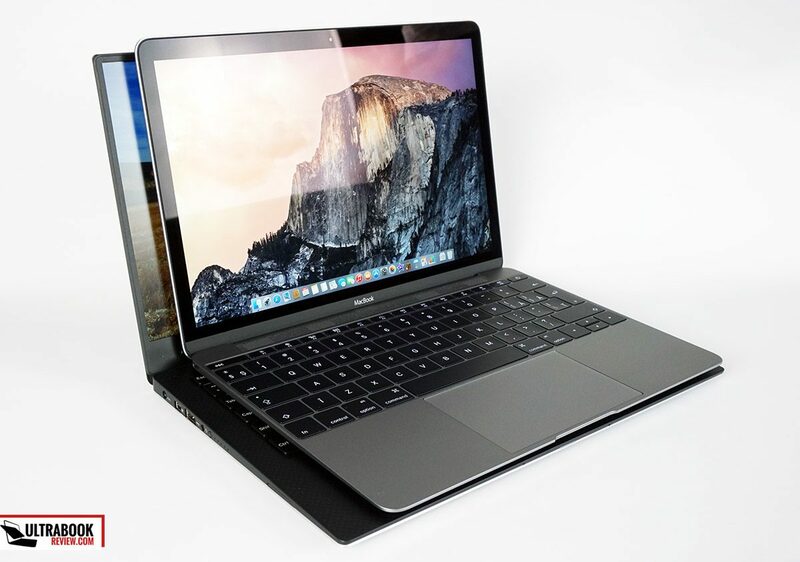 Last but not least there’s the Macbook Pro 13 with Retina Display, which packs faster hardware than all the others Macbooks above, more ports (2 x USB 3.0, 2 x Thunderbolt, HDMI, Card-reader) and a larger battery (75 Wh), plus a high-resolution 13.3-inch IPS screen. It weighs 3.5 lbs though, thus isn’t very portable, and it’s about $200 more expensive than both the Macbook and the Macbook Air 13. 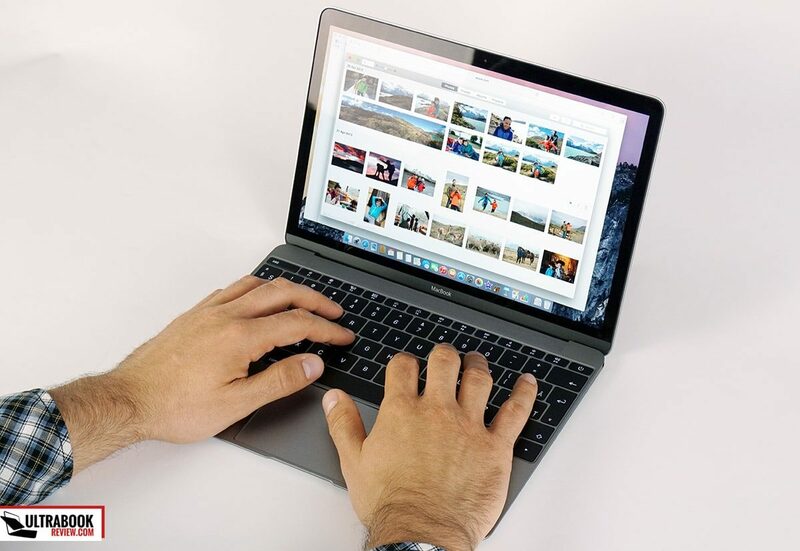 In theory, the MacBook is the ideal ultraportable laptop: small, light and quiet, yet with a good screen, long battery life and enough power for most standard activities. In practice, the implementation is lacking here and there. 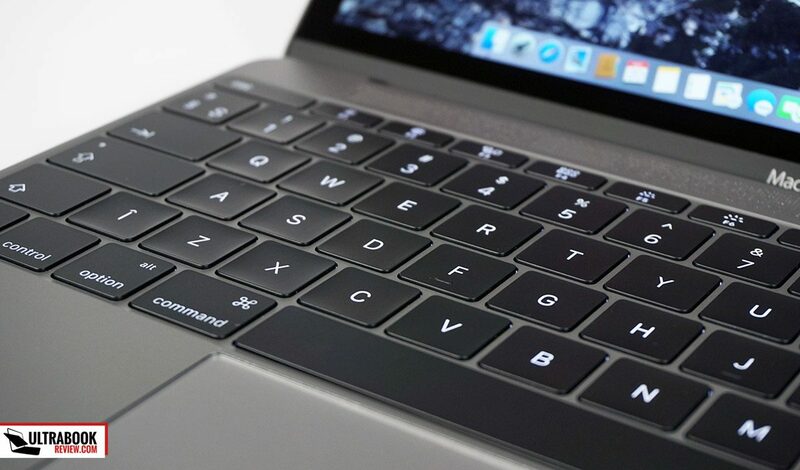 The keyboard, the hardware, the glossy non-touch display and especially the IO fail to meet the standards I would expect from an Apple laptop and make it hard to justify buying one, especially when you can get similar devices for about half the money, or more capable models for less. 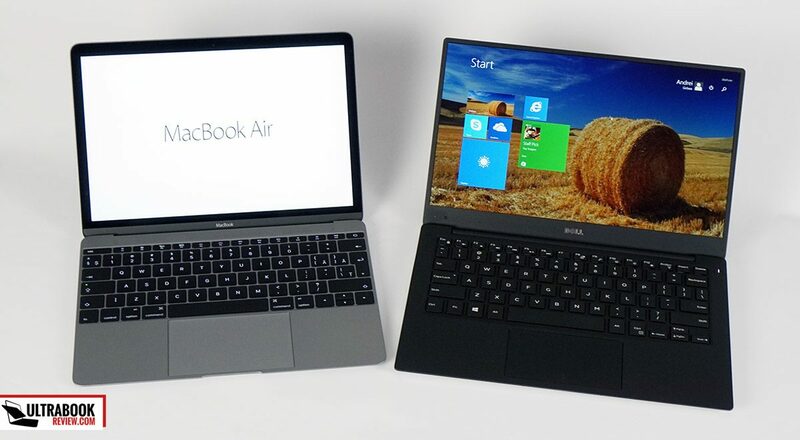 IMO a portable laptop needs to be practical first, then thin and light. I am willing to sacrifice on a few millimeters and ounces, but not on ports or keyboards, like I’d have to with the MacBook. Most importantly, Windows competitors prove that such sacrifices don’t even have to be made on thin and light machines these days. 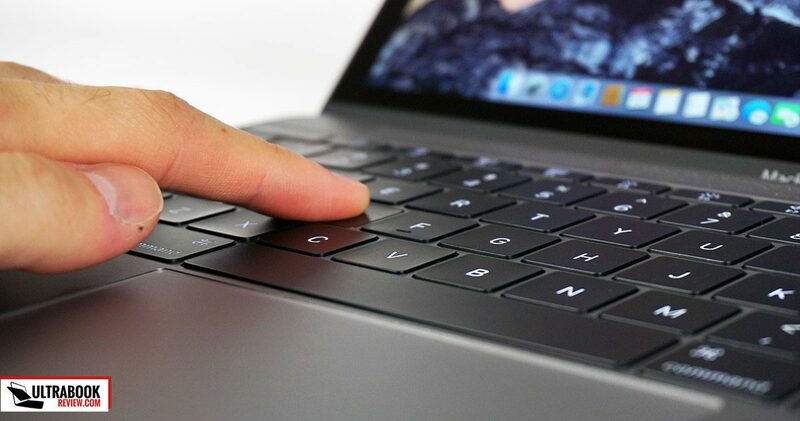 Next year’s MacBook though, or perhaps the one after, should patch things up. 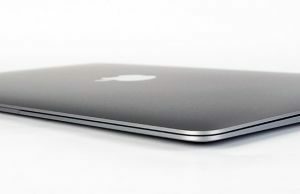 After all, the first MacBook Air wasn’t that good, but the future ones have been the best in their class for years now. The future is bright for Apple’s premium ultra-portables. The present though is just cute and unconvincing. I don’t know, I have the Asus ux305 you mention, and I’m positively surprised at what it can handle. I didn’t have high expectations of it, having read your review first. I’ve spent the last week playing Skyrim on it. I know it’s a few years old, but it’s still a surprise that it runs perfectly well (and loading times are at 3 seconds, due to the ssd, I’d guess). The Core M platform is surprisingly capable. Hmmm, I haven’t checked out Skyrim on Core M. What are you settings (resolution/details) and what kind of fps are you getting? Still, look at it this way: if you didn’t have low expectations you probably wouldn’t be as happy with it now :P And expectations are of course highly subjective. Haha, you’re right about that! I basically just needed something lightweight and soundless to write my thesis on, and with lots of RAM, and this thing fits the bill perfectly.